I'm a native California girl but that was a long time ago...when you could walk on the San Joaquin River levees and trails alone and not be afraid of being accosted by exhibitionists, transients, pick-pockets and more. (The last time I visited, it was a exhibitionist, yikes!) It's still beautiful, don't get me wrong, but those days are gone for me. It seems like I've always lived in beautiful places, like the 10 years I spent in Floyd, VA, so green, so humid, so close to the Blue Ridge Parkway...I loved it so much! Now it's Utah that I call home, and I love it here too! I lived for several years in Provo, UT. It's a college town, home to BYU and UVU. Then we moved north to the Sandy/Draper area. At first I wasn't sure I'd like it. I'm sort of an introvert, who loves to get away to nature. I crave places that aren't crawling with people. I need places to be able to walk and be by myself, to meditate and reflect and let my dog roam while I'm doing so. 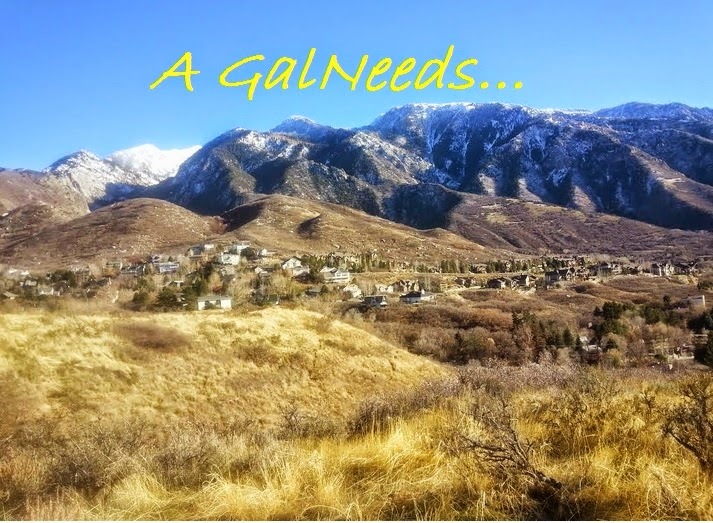 Sandy is in Salt Lake County and close to many fun events and shopping areas. But I was so happy to find that it also has a slice of the most beautiful nature around and the solitude I love is right in my back yard! As a matter of fact I really consider Dimple Dell equestrian, hiking jogging and recreation area my backyard. 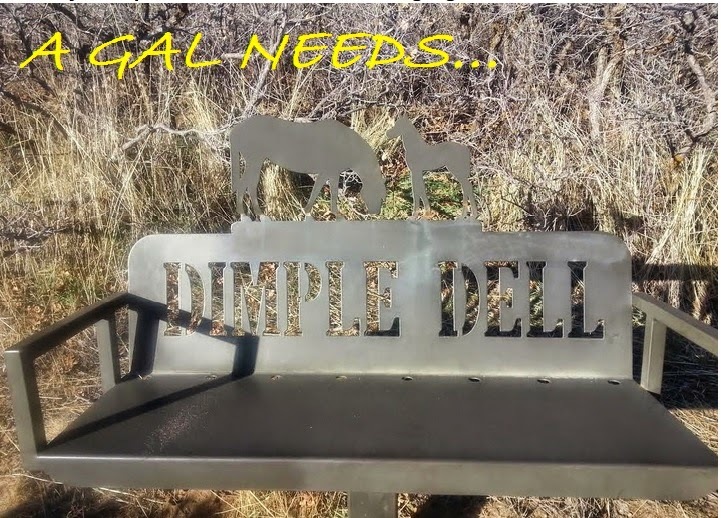 Dimple Dell is an expansive park offering hiking, biking & horseback riding along with ponds, streams & picnic areas. It is like a huge nature park in the middle of the suburbs It goes for miles and has many trails. There are many entrances to the park. One trailhead entrance is right by 24-Hour Fitness in Sandy at 10365 S 1300 E.
I frequent just a small part of Dimple Dell, just enough to fit in a 50-minute walk with my border collie, Evee, several times a week. I have carved out my own route, one that I know isn't too well-traveled. I even have my own private bench to take in the gorgeous mountain view! Another great thing about living in Sandy/Draper area are the many places to bike. I like to bike on Wasatch Blvd, where you can get gorgeous views of the city below or bike towards Little Cottonwood Canyon. The Pepperwood Area towards Draper is also gorgeous to bike through and there are several parks and mountain biking trailheads you can take. I like going earlier in the morning because the traffic is a little heavier during the day and unfortunately there aren't designated biking lanes for some of the way. Most drivers, however, are very considerate, if you don't hog the road. I also recommend using lights both on front and on back of your bike, or a reflective vest or a light on your helmet. If you are in a crowd-loving mood we have plenty of places and events here for that as well! As a matter of fact, Sandy specializes in events and venues of all kinds! The shopping is amazing. Just get off I-15 at 123rd South and you have restaurants galore and the South Town Mall is right there, with Dillard's, Macy's, and R.E.I. to name just a few. Both Trax and Frontrunner Trains are accessible in both Sandy and Draper, heading as far north as Layton and south to Provo (Frontrunner only). Loveland Living Planet Aquarium - This 9th largest aquarium in the United States is located here in Draper at 12033 South Lone Peak Parkway. It is a childhood dream come true for founder and CEO, Brent Anderson. As a child, he was given a book about the sea from his grandma, It awed and inspired him so much that as an adult, when asked what he would do if he knew he couldn't fail, he knew he had to bring his youthful dream to reality. 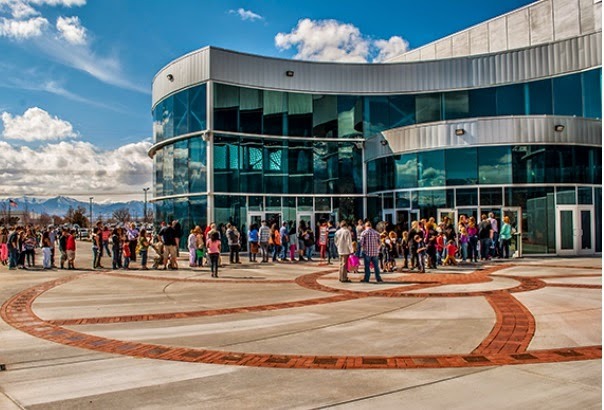 The Aquarium has 4 main galleries - North American River Otter Exhibit, Ocean Explorer, South American Explorer, and a 300,000 gallon shark tank! 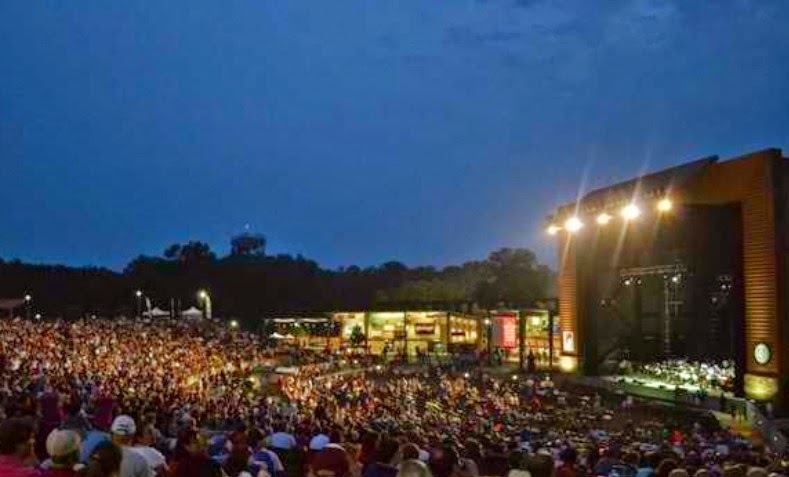 Sandy Amphitheatre - Located on the corner of 9400 South and 1300 East, this Amphitheatre is open during the summer and has amazing concerts! It has a capacity of 2,750 and allows people to bring in their own chairs. It is a truly unique concert experience! I live so close to it that I can hear the music in the evenings when I'm sitting outside on the porch or have the doors and windows open. Rio Tinto Stadium - Soccor has become a big deal in Utah, ever since REAL Salt Lake made Rio Tinto Stadium their home. This is located on 9256 S. State Street in Sandy. I've been to a game and it's packed! As you can see, the area where I call home has a lot to offer! You really ought to come and explore! And let me know when you come...we'll do lunch! Oh my goodness! This sounds like a little piece of heaven. Love, love the pictures! I remember my time there with much fondness. Sadly, it has changed too much from what I remember it to be.